What does performance fabric mean to you ? What does performance fabric mean to you ? In the world of upholstery fabric where everyone is making a performance brand, we want to tell you why Revolution fabrics are different . Revolution started with an idea to create fabrics that are durable, cleanable, and soft to the touch. 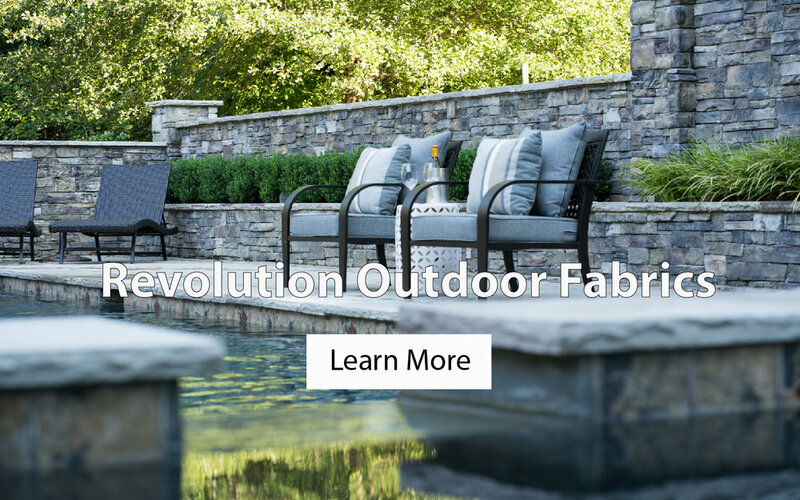 Revolution Fabrics are 100% made in the U.S.A. Our fabrics are stain resistant without the use of any PFC chemicals; making them easy on your home and the environment. We saw the need from our customers for a machine washable fabric that is soft and beautiful but also durable, inherently stain resistant and bleach cleanable... even dark colors. Sofas, Dogs, Wine, Markers and Kids Can All Be Friends... Seriously! Join the Revolution and share your story with us on Facebook & Instagram!